Extendos Cigarillos CALI GREEN SWEET 2 x 15 = 30. Extendos Cigarillos have been gaining in popularity among cigar smokers everywhere. Extendos Cigarillo is one of the the longest cigarillos on the market. The Extendos introduce an evolution in the way cigarillos are smoked; with their double length they provide double pleasure. Extendos Cigarillo is blazing new trails, introducing an evolution in the way cigarillos are smoked. With the same great quality you’ve come to expect from with double the length and twice the pleasure, Extendos™ are designed for tobacco enthusiasts who like a slow burn and enjoy it longer. Extendos Cigarillo are now available in eight popular flavors from the Collection of unique and full-bodied taste profiles . ultra-sweet blend LOUD ; distinctive CALI GREEN; fruit punch-flavored FIRE; white grape flavored PURPLE K; ONE HUNDRED all natural; bold BLACK LABEL; and mango/peach-flavored ON POINT. Try one, or live large and try them all! Extendos At 8.5-inches long, Extendos are extended cigarillos—double the length of a standard 4.25-inch cigarillo. Extendos are sold two to a pouch and will be introduced in signature flavor, OG Sweet and new Ultra Sweet flavor profile, LOUD. New future flavor profiles will be announced in the coming weeks.  Buy online at littlecigarwarehouse.com, Extendos Cigarillos : Find the cheapest Extendos Cigarillos products Compare products, check out the latest offers, discounts and get online Extendos Cigarillos Save more. 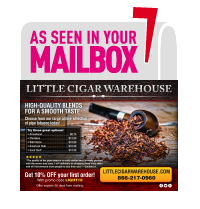 little cigars give you same joy as expensive cigarettes. price way cheaper. roll your own. your one stop shop for roll your own cigarettes.